If your kitchen is large enough for it, this country-style cupboard will provide considerable storage space while adding a good deal more charm than additional wall cabinets. It's also a fine dining room piece for storing that set of fancy dishes that is used only occasionally This is a project that will take quite a few hours to complete, but the joinery is uncomplicated; all phases of construction can be handled by a woodworker with modest skill and equipment It's a very rewarding piece to build. White pine is used for the entire protect, with the exception of drawer bottoms and upper and lower back panels, which are of plywood. Start construction by gluing up boards to form the sides of the cupboard. Use %" dowel pins to reinforce the joints. After the sides have been glued up, dadoes are cut for the bottoms of the upper and lower cabinets. A V dado is also cut to receive the upper drawer support, and the top edge is rabbeted % x for the top. 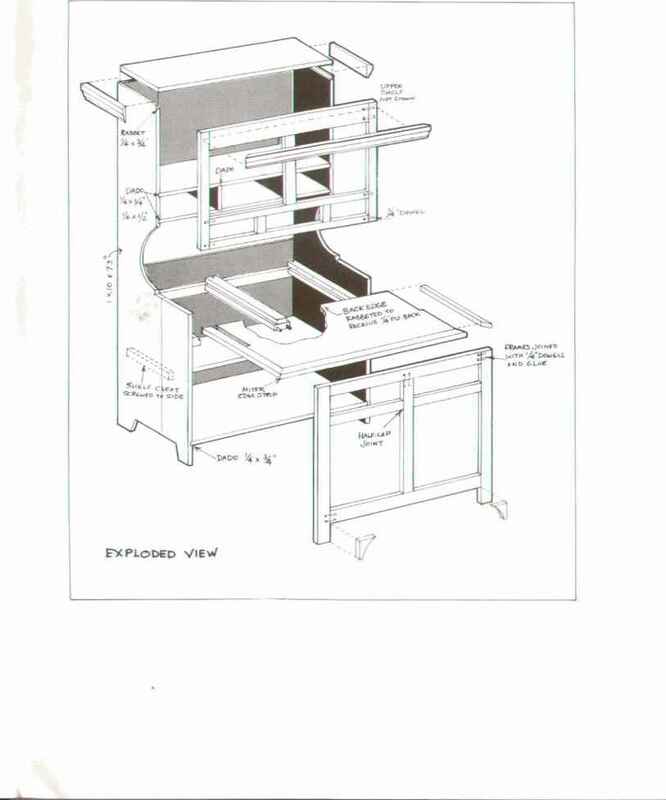 To receive the 'X"-thick top and bottom plywood backs, a Si x K' stopped rabbet is cut along the inside back edge of the cupboard side (see Figure 1B). Next the upper and lower front frames are constructed of pine as shown in Figure 3. All joints are secured with V* x dowel pins, with the exception of the lower door divider and the horizontal drawer rail, which are half-lapped together. Great care must be used in constructing both frames to make them perfectly square with good, tight joints. A doweling jig is a must for this phase of the work. The lower cabinet bottom is glued up from two boards and trimmed to width to lit in its dadoes; it should be flush with the front edges of the sides and the back of the rear rabbet. Cut the upper drawer support shelf from V/' pine with a rabbet to receive the back panel, and cut the upper cabinet bottom from V*" pine. These pieces are dadoed to receive the two drawer dividers, which are cut from %" stock. Slip the shelves into their respective dadoes, and join the lower frame to the sides with glue and finishing nails. Screws are better but the screw holes must be counter bored deep enough to insert ^"-diameter plugs to hide the screws. Add the plywood back panels and top to help square up the assembly before clamping. Doublecheck for squareness before applying pipe clamps and letting the glue dry. If you have enough pipe clamps, add the upper frame also; otherwise, do one at a time. horizontal frames to match the grooves. Panels are glued up to width and run through the table saw with the blade inclined at 18 degrees. When gluing up the doors, apply glue to the tenoned corner joints, but do not glue the panels; they should be free to contract and expand in their grooves. After the glue has dried, run a %" rabbet around all edges of the doors, then round off the outer edges. Glue %" stock together to form the countertop. Carefully cut notches in each end to fit around the cupboard sides and cut a K x rabbet in the back edge for the back panel. Before adding the countertop and its trim, the lower drawer guides and shelf cleats should be installed. The back supporting crossmember is fastened level across the plywood back with screws driven through the plywood. The three drawer supports, which are each made up of two pieces, are then cut, glued, and nailed together so that the upper piece. Lower dravjeks f which is longer, can be screwed to the rear crossmember. 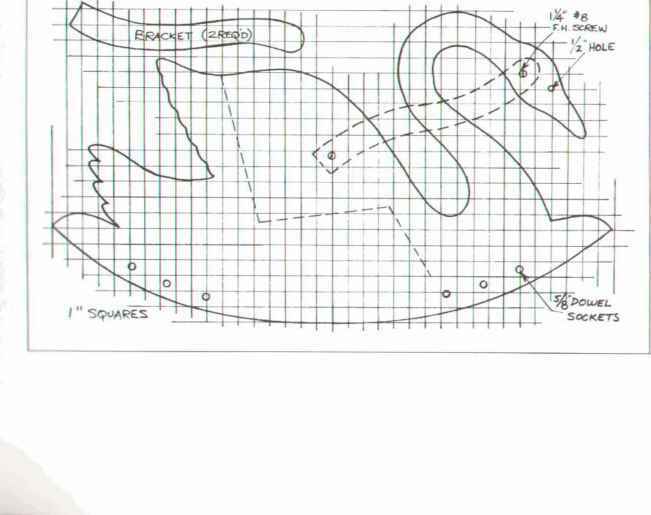 (This is shown in the exploded view and Figure 1B.) The center support must be wide enough to support both drawers. Cut it to fit snugly between the crossmember and the front frame, and drill two holes through the frame and into the support. Drive two dowel pins in to firmly attach this member. Side supports are screwed to cupboard sides, as are lower shelf cleats. You can now install the countertop, gluing and nailing it to the sides and front frame. 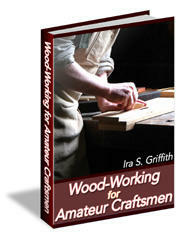 Cut \" trim and fasten it to the counter and sides with glue and finishing nails. The front corners of the trim should be mitered. 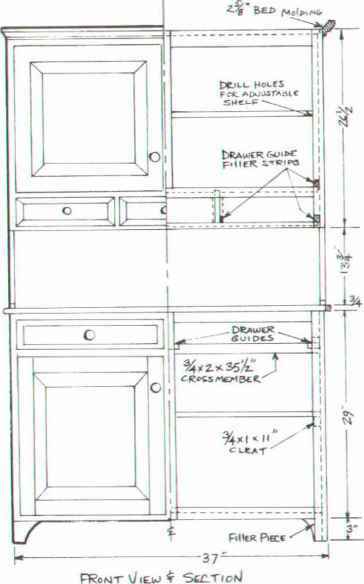 Drawers are all lipped, with beveled fronts: Figure 4 gives construction details. Drawer fronts are made up of two pieces of W pine, glued together to allow a %" lip at top and bottom and a %" lip at both ends. Drawer bottoms can be either Y" plywood or Masonite. Finally, a length of 2%" bed molding is mitered and nailed to the top of the cupboard to provide a handsome trim. Crown molding, which is shown in the exploded view, can also be used. The photo shows the cupboard with a bed molding, which is a bit more difficult to miter. Obviously, there's a lot of sanding work involved in finishing the piece, but some planing and distress marks will add character, so don't overwork yourself trying to remove every little defect. Our cupboard was sanded with mediumgrit paper before assembly, and after assembly a fine-grit paper was used; but various dents and gouges which accumulated in the construction process were left. All edges were rounded a bit and one coat of Minwax Early American stain was applied; this was followed by a coat of full-strength urethane varnish. The entire piece was then given a light sanding followed by dusting with a tack cloth. A final coat of satin urethane varnish was applied. 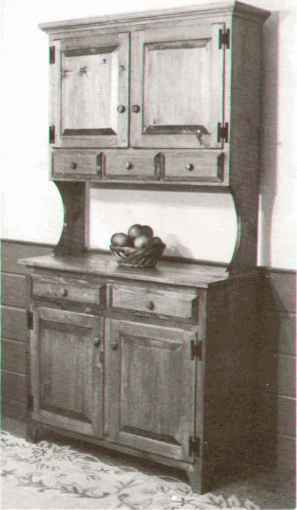 All nail holes were filled with color-matched wax, and wooden knobs and black H hinges were installed.